Gov. Tim Pawlenty has been on WCCO Radio nearly every Friday for almost seven years, carrying on a tradition begun by Jesse Ventura. The Republican governor regularly discusses developments at the State Capitol and frequently takes aim at DFL legislators. But in the last few months, Pawlenty has also been aiming criticism at another target. He's blasted President Barack Obama on issues ranging from health care reform to the cash for clunkers program. Democrats have long complained that the "Good Morning Minnesota" program gives Pawlenty an unfair advantage to push his political agenda. They've asked for equal time and filed formal campaign complaints without success. But now Pawlenty is widely viewed as a potential GOP presidential candidate in 2012, and he recently formed a national political action committee to help elect other Republicans. Minnesota DFL Party Chairman Brian Melendez said the fairness issue has risen to a new level. "He is clearly using this show as a campaign vehicle," he said. "I think that's what he's been doing all along, but it's must much more obvious now. The only difference is this time he's campaigning for president instead of governor." Melendez said the governor should stick to Minnesota issues, and provide time for opposing viewpoints. DFL Senate Majority Leader Larry Pogemiller of Minneapolis agrees. Pogemiller shared his concerns with radio station officials last summer, to no avail. And since that meeting, Pogemiller said he thinks the partisan tone has gotten worse. "If he is just serving as governor and talking about issues related to the state and doing it in a fair and balanced way, I can see why having a show by the governor of the state is a positive for the citizenry," Pogemiller said. "But now, I think it's just deteriorated into a forum for his personal ambition." WCCO officials are standing by their decision to not give Pogemiller air time. Program Director Wendy Paulson said WCCO has a longstanding philosophy that all sides are represented throughout the programming day. Under its contract with the state, WCCO turned over control of content for the hour but gets to sell advertising. Paulson says October ratings ranked the show third in its Friday time slot. Pawlenty's spokesman and radio co-host, Brian McClung, said allegations that the show is a partisan platform are silly. He said guests are from across the political spectrum, calls are never screened and the topics simply reflect the news of the day. "It would be a little strange if the governor of the state had a weekly radio show and we didn't talk about political issues that are in the news," he said. "If we didn't talk about the governor's health care reform initiatives here in Minnesota, or if we didn't talk about some of the things at the federal level that effect people in Minnesota." Despite DFL concerns about fairness, one local media expert said Pawlenty remains on solid legal ground. 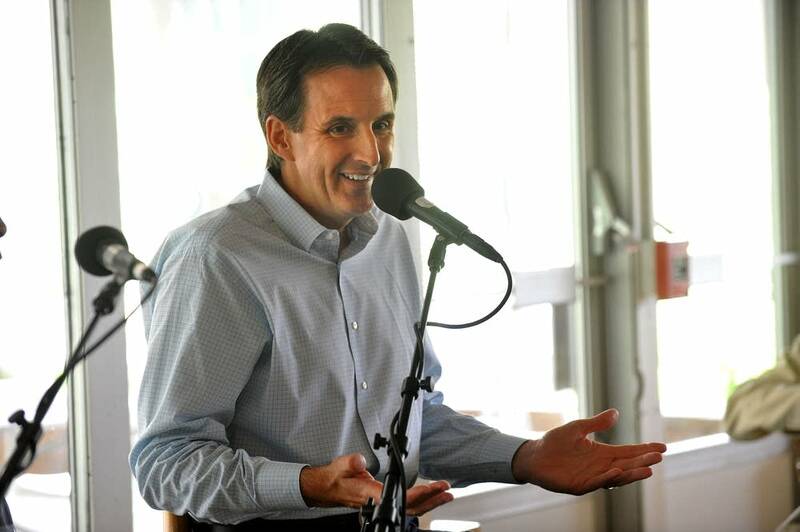 Jane Kirtley, a professor of media ethics and law at the University of Minnesota, said Pawlenty can say just about anything he wants on his radio show as long as he's not officially running for office. "You have to be what the FCC defines as a legally qualified candidate," she said, "and there are triggers to that. And simply looking and acting like a candidate does not in and of itself make the rules come into play." One political certainty for Pawlenty is that he's not running for a third term as governor next year. That means his radio gig will end in early 2011, well before he would have declare a 2012 presidential bid.